The Exclusive Distributor for North America. 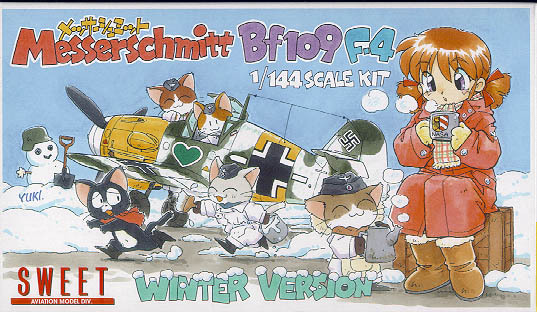 SWEET 1/144 Messeschmitt Bf 109F-4 WINTER VERSION 2 kits in a box !! 2 Optional Clear Canopy Parts. 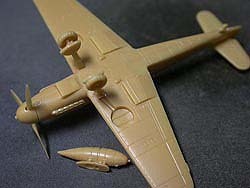 Finely molded parts in light gray; 2 types of clear canopy parts,(with and without Armor) detailed landing gear structures and wheels, drop tank and the optional Tropical Sand Filter part. 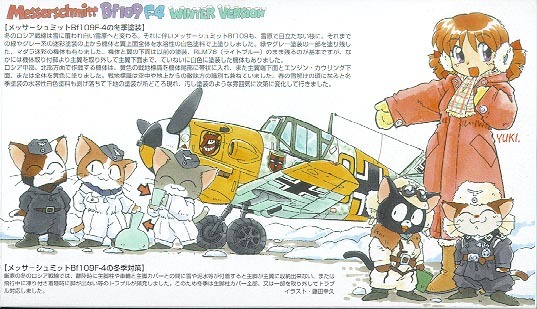 Saparate underwing air intakes. Recessed panel lines and rivets. 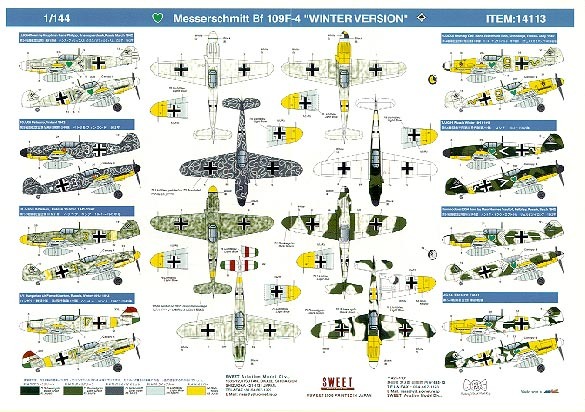 High Quality decal, printed by CARTOGRAF in Italy, provides the choices of 8 winter camouflage markings; aircraft from JG54, JG5, JG53 and Hungarian Air Force. 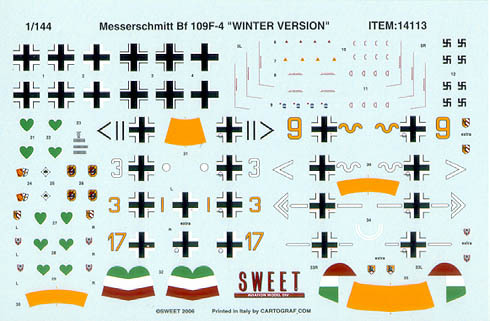 "Messeschmitt Bf 109F-4 WINTER VERSION"
heA photo of the two Bf-109s Trever built for the comms model show in borden ontario. 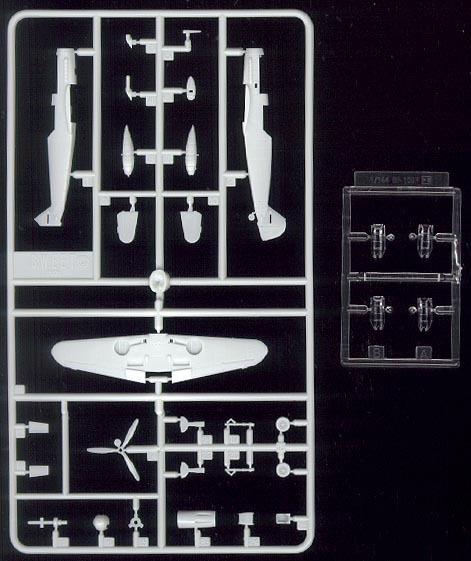 Both planes took bronze medals for the "Out of Box" category!! ･Click photo for larger images. 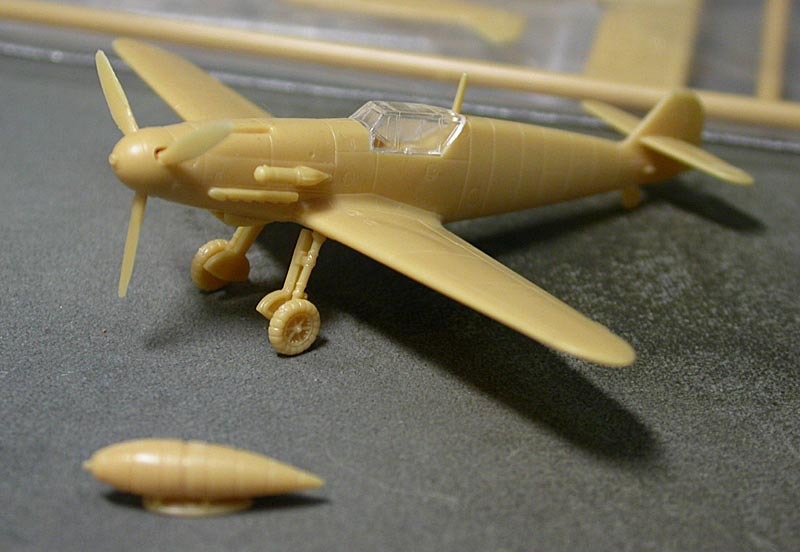 Jan Sobotka from Czech republic sent us photos of his Messeschmitt Bf 109F-4 WINTER VERSION. 1928 McGee Ave.#2, Berkeley CA 94703 U.S.